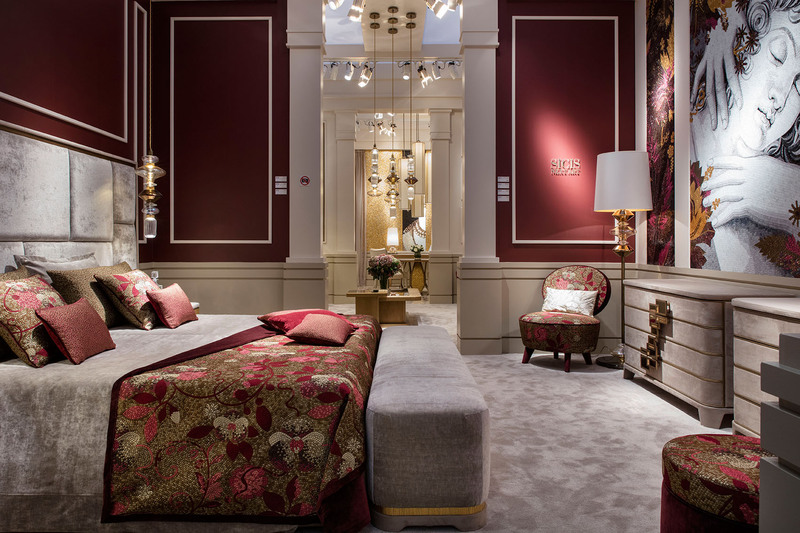 On the occasion of the International show, Maison e Objet in Paris SICIS distinguishes itself yet again with an eclectic and distinct style characterizing quality and refinement. 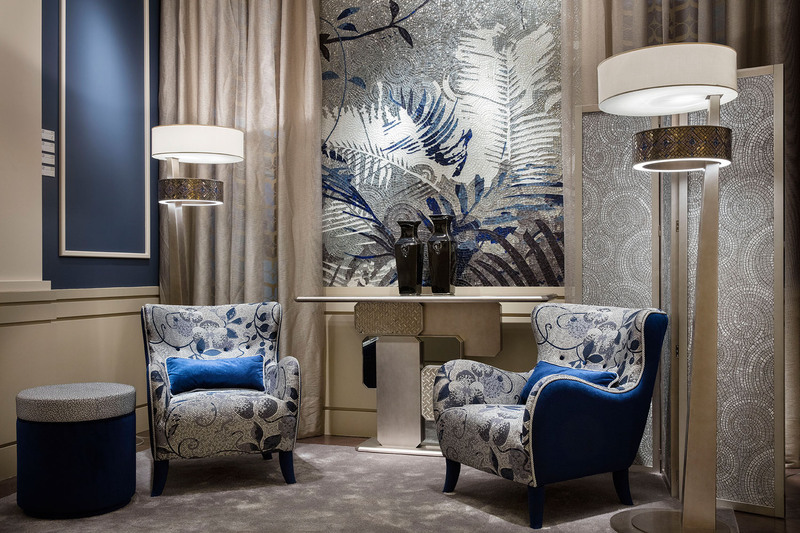 A preview presentation of an innovative fabric collection inspired by SICIS most distinct and iconic mosaic patterns. A surprising effect that merges and celebrates the artistry and refinement of beautiful materials -transporting mosaic art into a new and unique medium. The fabrics are shown in tones of gold, platinum, black and white, sapphire blues and crystal whites and shades of clear rose’, deep bordeaux and rich ports. 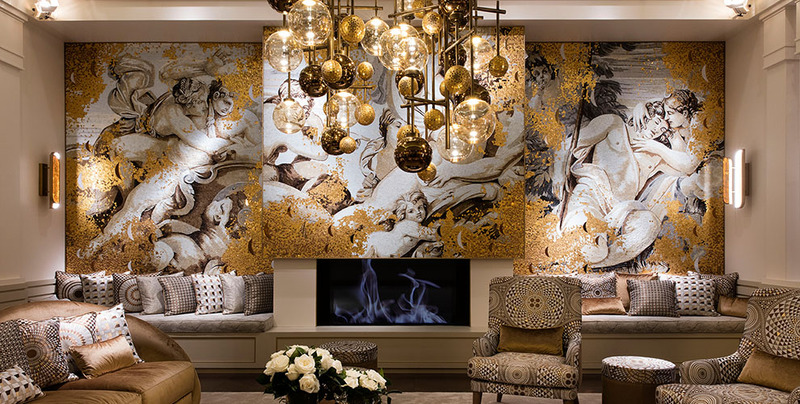 The furniture and lighting collections, like Siam and Fluxus are rich with added elements and are shown beside new collections called Visconti Diamond, Savoy, Venezia to name a few. Every piece demonstrates the highest level of artisan ability orchestrated through a continuous research and development of techniques and materials, like a mosaic conductor. Reaching new limits in the world of SICIS Art Mosaic, ART COUTURE represents the fusing of history, design and technique with the vision towards the future. Incredible mixtures of materials sizes shapes and dimensions creating astonishing texture depth and dimension for important luxury living environments. Culture, innovation, capabilities, globalization. The beliefs in which SICIS bases its ambitious project luxury living, with the determination to be not only an interpreter, but a leader in the design world.